This article has been tagged as Needing work due to its lack of clarity, organization and references. Poster for the 1982 film version. 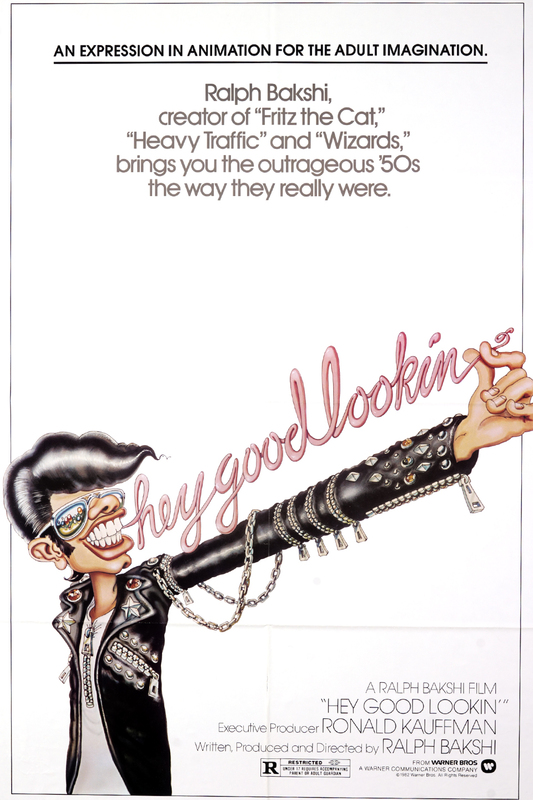 Hey Good Lookin' is a 1982 comedy-drama film directed by Ralph Bakshi, with production dating back to 1974, but released in New York only and in 1982 produced by Waner Brothers. The film was originally a live action, cartoon hybrid with human actors interacting with cartoons. A trailer was shown off in 1973 (which is ironically also lost) with critics and fans praising Ralph's new style. The film was going smoothly and finished in 1975, but thenCoonskin was released (another Ralph Bakshi movie) causing controversy with C.O.R.E due to it having blackface. Warner Bros got worried from this and also felt like live action and animation was "un-releaseable", they canceled the film's distribution, and ordered Bakshi to re-do the entire film in full animation. Warner Bros. delayed the film indefinitely, until finally canning it in 1976. To avoid getting sued for using more live-action than he said he would, Bakshi re-wrote and redid the entire film in animation, and he would have to self-finance completion. Profits from Wizards (1977) and Lord of the Rings (1978) were used by Bakshi to finally finish the film, but somewhat under protest, as this newer version didn't have the same amount of love and care put to it, to a point where the film mocks itself. Only a few scenes of the 1975 version survived, but it's very unclear where dialog was re-written, as this was also part of the deal. According to Ralph, Waner Bros. might still have a finished copy of the 1975 version, sitting in their vaults. 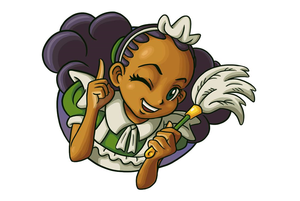 - Due to re-doing the whole film in animation, live-action backgrounds were scrapped and replaced with painted backgrounds, as well as replacing and re-writing several side-characters with animated ones, but it is possible that most Vinny/Crazy/Roz/Eva's animation was re-used in the new version, so even if they're not the original scene, they're the most present element of the 1975 cut in the entire film. - The Rumble with the Black Chaplins, in the 1975 cut, this scene featured several dance movements by the Chaplins, and it is known for being the earliest appearance of Break Dancing, something that became popular later on the 80's, due to not losing those scenes, the characters were rotoscoped, but only a handful of the many dance movements were cut. Other scenes would be the Stompers marching towards the Chaplins, all the way to the shoot-out, where strangely, in a wide-shot, the Stompers are seen running for cover, but many of them go through the walls, originally being the alleys/dumpster cans. - Crazy's own climax on the roof, it is possible this scene was also severely cut-down, as well as losing it's meaning over the production process. - Vinny is walking by himself in Manhattan, after the Rumble.